however no flame was seen in and outside the bogie as well as compartment. Guwahati Naharlagun bound Donyi Polo Express caught fire, however no flame was seen in and outside the bogie as well as compartment. 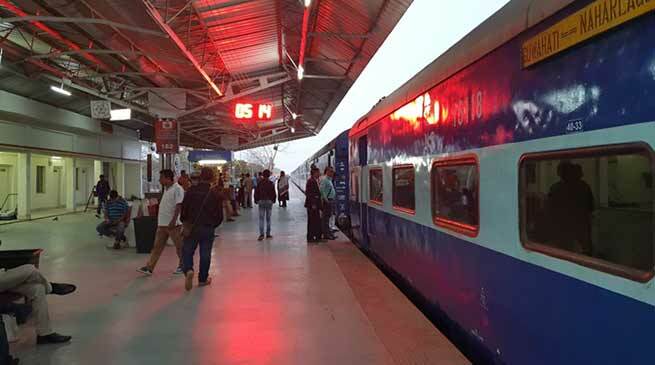 The passengers of Three Air condition compartments (AC) of 15617 down DP Express bogie No 15118 and coach No B3 have to detach the bogie at Gohpur Railway station . Passengers were frightened and under confusion as to how the smoke were filled in the compartment without any flame. The railway authority could not clarify as what technical defect erupted and they have no other option but to detach the bogie from the train for which the passengers of the DP Express going to Naharlagun and Harmuty have to wait for more than 4 hours at Gohpur Railway station.